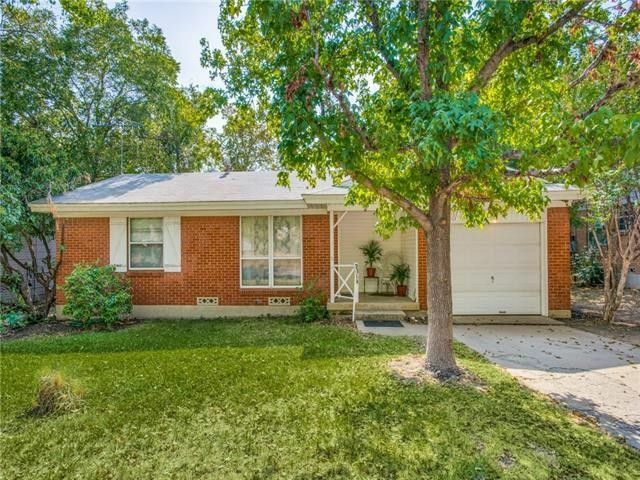 This Estate property is a well maintained red brick home with white trim! The Pier-and-Beam structure is in very good condition. Original kitchen cabinets were replaced by oak custom cabinets about 20 years ago. The kitchen offers a gas range, almost new dishwasher, microwave & ample cabinet & counter space. Beautiful wood floors in excellent condition flow through all three bedrooms and under the carpet in the living room. A 16 X 10 ft. covered deck offers a haven from the heat and a great view of the large partially wooded back yard. Two large storage buildings in the back yard add even more great storage. The single car garage is oversized with an additional storage closet. Don't miss this opportunity! Directions: From I35 take McCormick St. to Willowwood St. Turn Right onto Jacqueline Dr. The home is on the right.